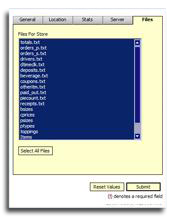 Our Corporate Data Warehouse Software. All the Numbers are Here! The Enterprise is complete! 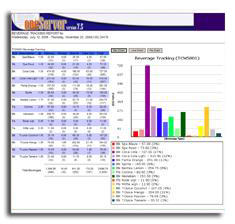 The data warehouse and reporting tool that completes your enterprise is now available exclusively from oneSystem. Introducing oneServer, a Microsoft SQL Server based solution running under Windows 2005. This solution allows you to poll data from your oneSystem POS and agregate your numbers market wide franchise wide. Once data is collected,your Microsoft SQL Server database is automatically updated. The oneServer database can be located at your office where you can link directly to outsourced payroll and accounting services or your own back office systems or you can make use of the many hosted servers available on the market today. The latest addition to oneServer, CRM Tools that let you see who is ordering what, when and where. Manage the most important asset in your business, your customers. Increase their loyalty and improve your profits.